The Muslim Rights Concern (MURIC) caused quite a stir on the Nigerian news waves after it released its statement asking Nigerian musician, Folarin Falana aka Falz to take down his ‘This is Nigeria’ video, because of what they termed putting Islam in negative light. Last week, MURIC had issued the artiste a seven-day ultimatum for the withdrawal of the video and had also demanded an apology – The video featured, among other things, some girls wearing hijab and dancing ‘shaku-shaku’ and a Fulani man appearing to behead an individual. However, in a statement signed by Ishaq Akintola, MURIC director on Monday, the Islamic group said “in deference to pleas made by well-meaning Nigerians,” it has resolved to drag the artist to government agencies that are responsible for censoring films and videos. “Our office has since been inundated with solidarity visits, while our telephone lines have been flooded with a deluge of calls from members, friends, well-wishers, journalists and other concerned Nigerians, majority of whom are of the Islamic faith. “In deference to pleas made by well-meaning Nigerians, in order to keep faith with our avowed motto (Dialogue, Not Violence) and to further confirm that MURIC is a listening, mature and responsible organisation committed to promoting peace in Nigeria, the Think-Tank resolved to drag the artist to government agencies saddled with the responsibility of censoring films and videos. 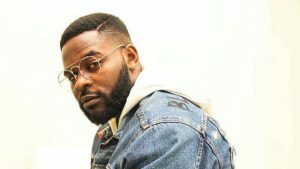 “MURIC is no longer contemplating court action against Falz, neither are we demanding any apology from him or his management,” the statement read. “The likely pecuniary gain in the event of a court validation of our claims does not interest us. We are no longer looking at Falz but at a larger picture. “The matter will now go to those government agencies who are supposed to do their jobs in the first place. Instead of creating media tension and granting cheap popularity, this matter will now be handled by professionals who know what to do. Furthermore, MURIC maintained that the video is “offensive and provocative,” saying it “portrays Fulanis (and Nigerian Muslims) as killers”. The group added that the video “is capable of igniting crisis and precipitating a general breakdown of law and order”.